Q. My professor says my topic is too specific. How do I broaden my topic? It can be difficult to find enough credible information to support your argument if your topic is very specific and/or new. 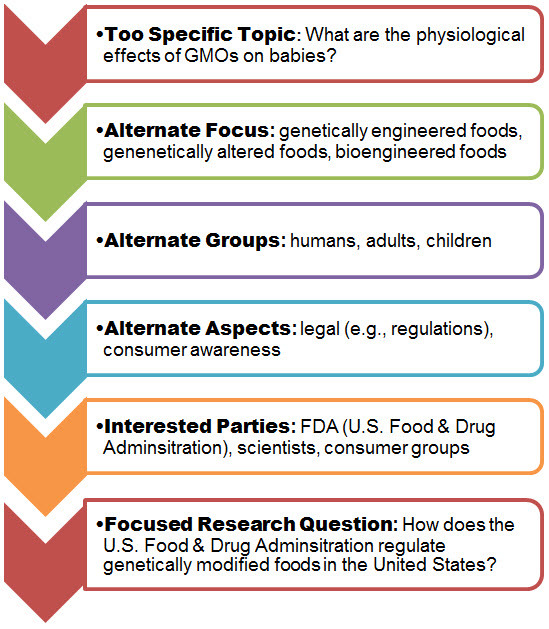 Think about related ideas (e.g., bioengineered foods instead of GMOs), other groups impacted (e.g., adults instead of babies), who has an interest in the issue (e.g., FDA), and alternate aspects (e.g., legal instead of physiological).